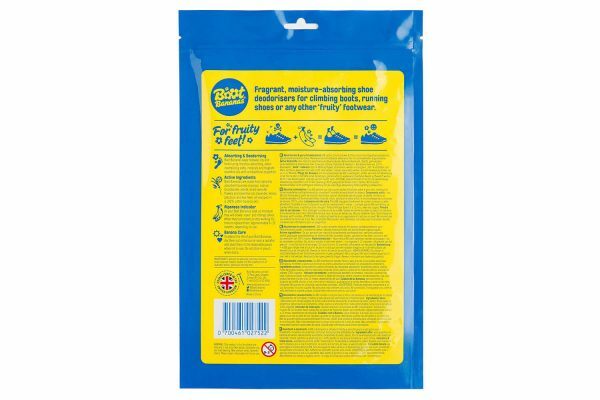 Fragrant and moisture-absorbing shoe deodorisers for climbing boots, running shoes or any other “fruity” footwear. Boot Bananas are made from naturally absorbent salts, minerals and plant extracts with lavender, lemon, patchouli and tea-tree essential oils all wrapped in a 100% cotton banana skin. 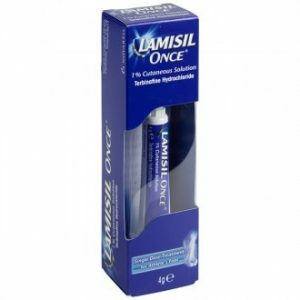 Triple-action active ingredients – Odour neutralising, moisture absorbent and with natural antimicrobial properties. Eco conscious design, cotton outer skin is biodegradable and the active ingredients comprise of salts, minerals and plant extracts only. Makes the perfect gift for any athlete or shoe enthusiast that all friends and family are sure to appreciate. Highly effective & long lasting – an average deodorising lifespan of 6 to 12 months with proper care. Designed to work on even the most offensive smelling footwear. 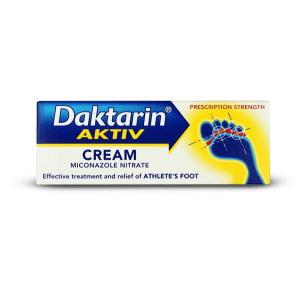 Particularly effective for barefoot shoes worn without socks. As with all things, you will get the most from your Boot Bananas Original Shoe Deodorisers if you care for them. Dry out your Original Shoe Deodorisers from time to time. 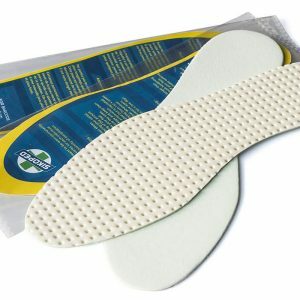 If you have had a hard training session and they’ve absorbed a lot of foot sweat hang them up to dry in the sun or near a radiator. Everyone sweats different amounts and so it varies from person to person, but we recommend doing this approximately every 1 to 2 weeks. If forgetful have 2 pairs on rotation, so one is always hanging up to dry! 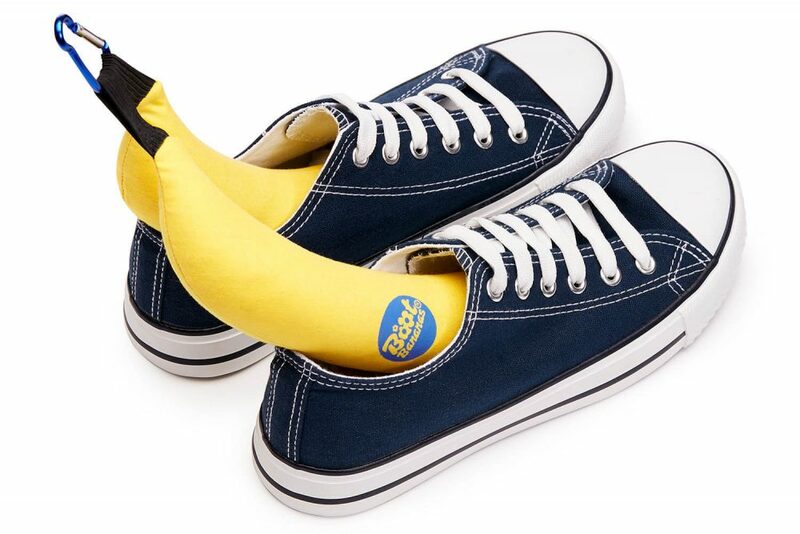 Make sure to remove your bananas from footwear when drying. Do not expose your Original Shoe Deodorisers to extreme cold. 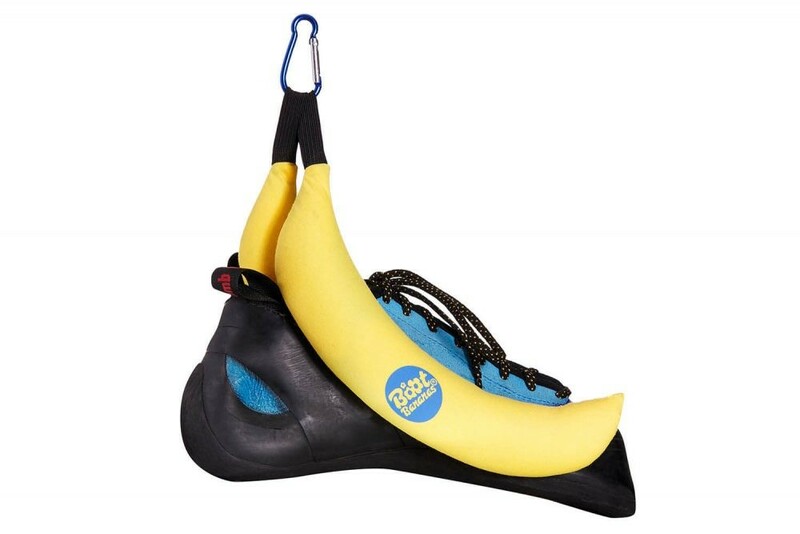 For example if they are accidentally left in a cold car overnight then follow one of the drying steps above to revive them and give the bananas a squeeze if the cold has caused the ingredients to compact. You can store your Original Shoe Deodorisers back in the zip lock packaging when not in use, but make sure they are dry before doing so. Cotton is a wonderful breathable fabric that allows the active ingredients to absorb moisture and neutralise odour. 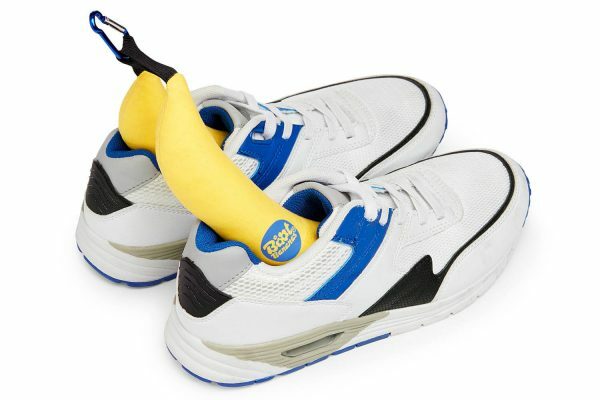 It is however prone to discolour & your Boot Bananas Original Shoe Deodorisers will turn brown over time especially with high frequency use. They will remain effective even if they have turned slightly brown, but you can use this transformation to gauge how ripe your bananas are! This indicates how much moisture has been absorbed. Replace when common sense dictates. 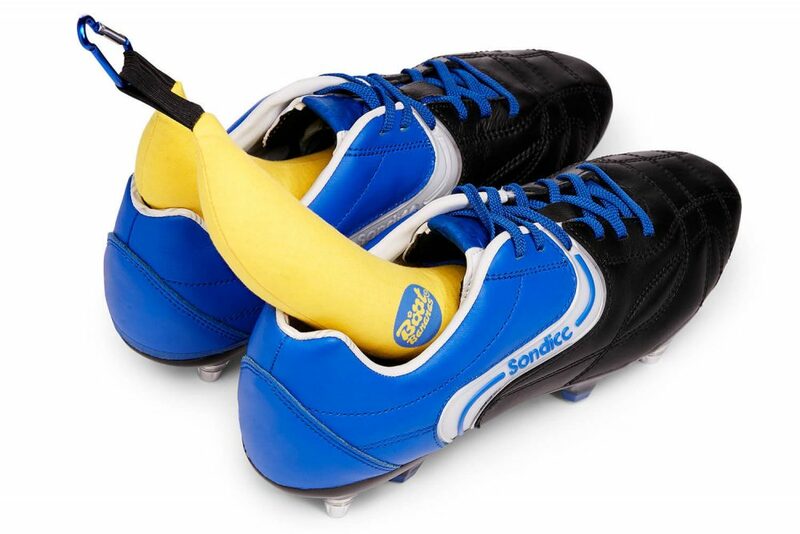 Some rock boots have a tendency to dye feet a bright colour and this may happen to your bananas as well, this will not impact their effectiveness. 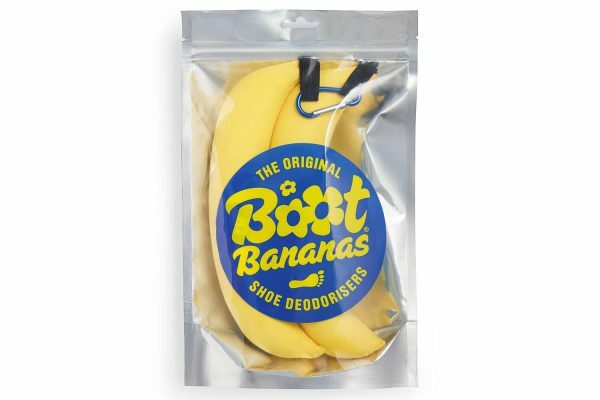 We recommend that Boot Bananas Original Shoe Deodorisers are replaced every 6 – 12 months. 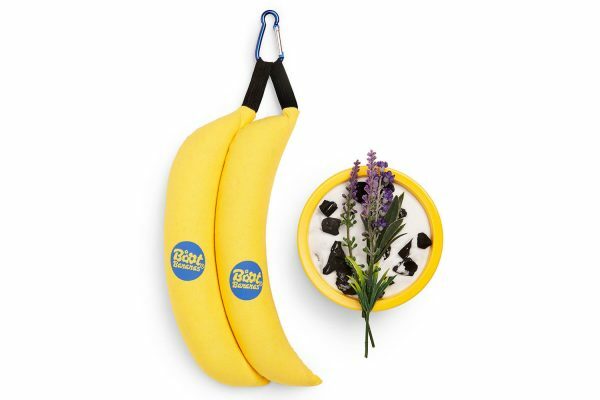 If you do not care for your bananas they may not last as long. Carabiner clip non load bearing. May contain sharp lavender stems.